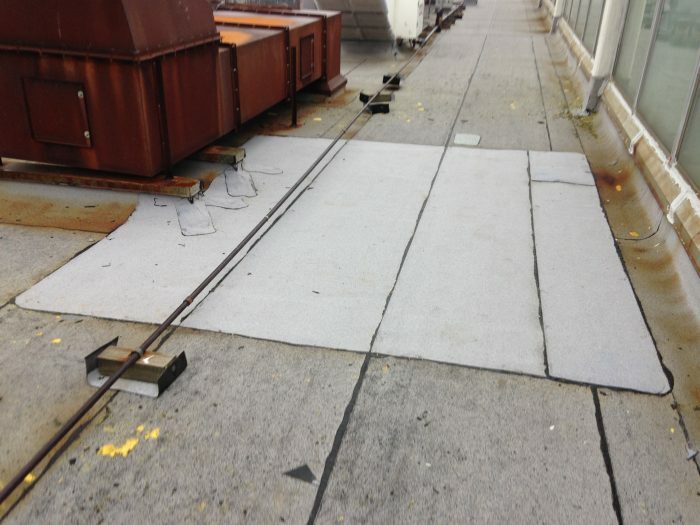 Management, Repair, and Restoration Roofing Solutions for Commercial & Industrial Buildings. 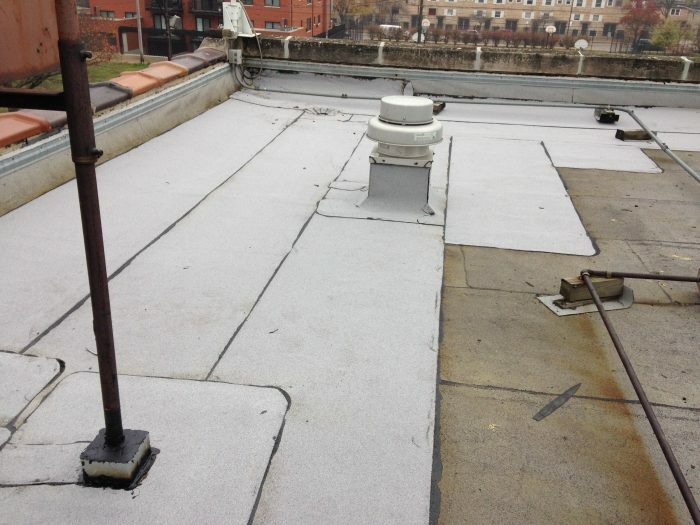 The roof membrane in the corner of the roof had accelerated deterioration due to chronic ponding water. We added an additional layer of waterproofing to reinforce the area. Looking for something specific? Search our site (including the blog) using the box below. By subscribing to our mailing list you will always be up-to-date with the latest news from us. © 2017 Solution One Roof Management LLC. All rights reserved.